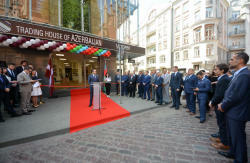 A solemn opening ceremony of Azerbaijan’s next trade house was held in Riga, the capital of Latvia on July 23. 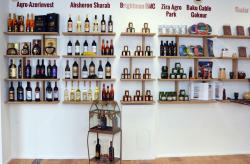 The trade house aims to promote products under the “Made in Azerbaijan” brand in the Latvian market as well as support the export of the country goods, including wine products, cognacs, vodka, tea, juices, compotes as well as vegetable oils, rice, textile, cosmetic, industrial products, and their sale in Latvia. A delegation, led by Deputy Minister of Economy Sahib Mammadov, attended the opening ceremony, where he stressed that the opening of the trade house demonstrates the two countries’ presidents will in the development of trade and economic ties. 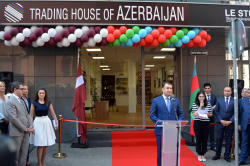 He went on saying that the relations between Azerbaijan and Latvia are progressing prosperously in a manner that the investments to Latvia amounted to $164 million, whilst Latvia’s investments to the country were $84 million and the launch of the trade house will contribute greatly for further development. Moreover, local companies, Kaslar and Bina Aqro signed bilateral memorandums of understanding regarding the export of products. Forty companies with Latvian share operate in the country. Trade turnover between Azerbaijan and Latvia amounted to $15.1 million in January-June 2018, according to the Azerbaijani State Customs Committee. 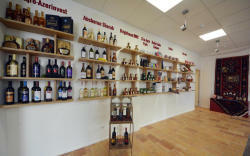 The trade house happens to be the county’s first opened in the European Union market. The country’s first ever trade house was opened in Minsk, Belarus in May 2017. The second appeared in Ukraine. 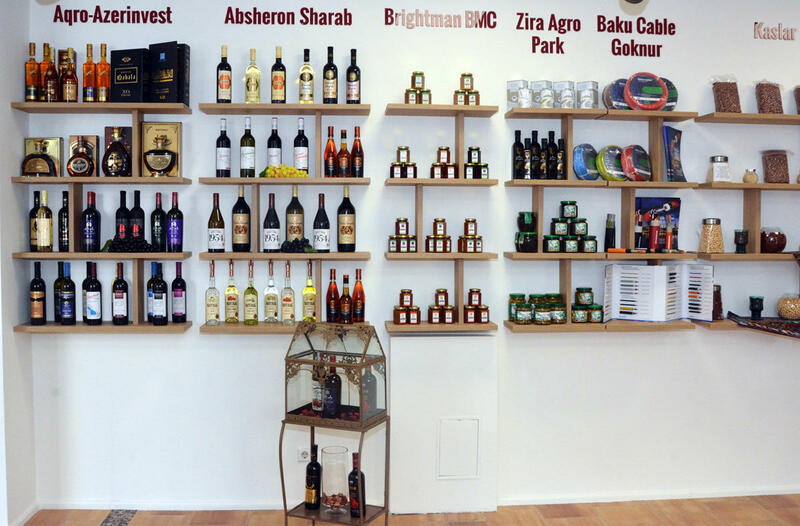 Other trade houses are expected to open in Shanghai and Astrakhan soon. The country also eyes such countries as China, the UAE, Netherlands, and Kazakhstan.